The book and the project itself demonstrate the power of art in the service of healing, testimony and community. Surviving Genocide immerses you in the stories of two Rwandans who as small children experienced the 1994 Genocide; it tells of the horrific tragedy each survived, the courage necessary for surviving, and the humanity they embody. Their stories are framed by two chapters chronicling the transformation, in the Rugerero Survivors’ Village, of a concrete burial slab into a powerful Genocide Memorial with its bone chamber, designed by Lily Yeh and built by the villagers. An essential theme of the book is the importance of the dead for the living, of honoring the dead, of remembrance. The book is not limited to the literature of the 1994 Rwandan Genocide; it belongs to the world as part of the collective human experience. Surviving Genocide is not a conventional book; it evokes its world through images (photographs, drawings, paintings, pattern, and color) as well as words; the text itself is visually choreographed. 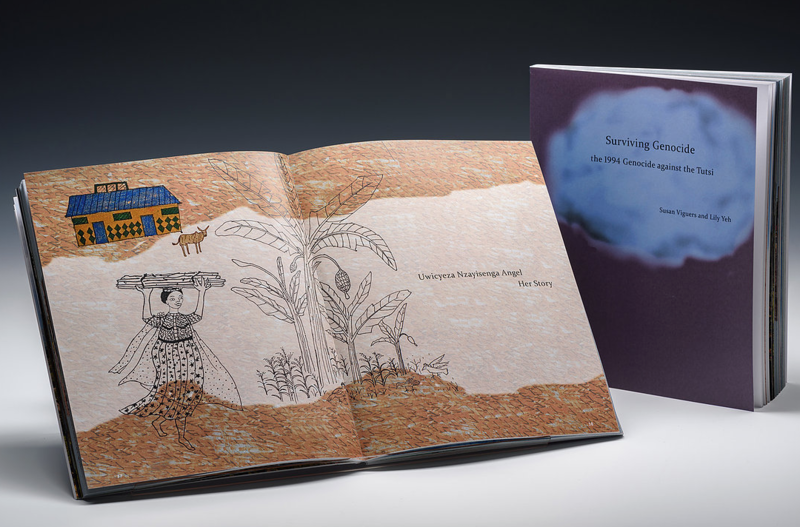 The material in the book stems from Lily Yeh’s multifaceted Rwandan Healing Project under the auspices of Barefoot Artists. That Project included, among other things, drawing and storytelling workshops, from which the book draws. Susan Viguers conceived and designed the book, incorporating drawings and paintings by Lily Yeh. 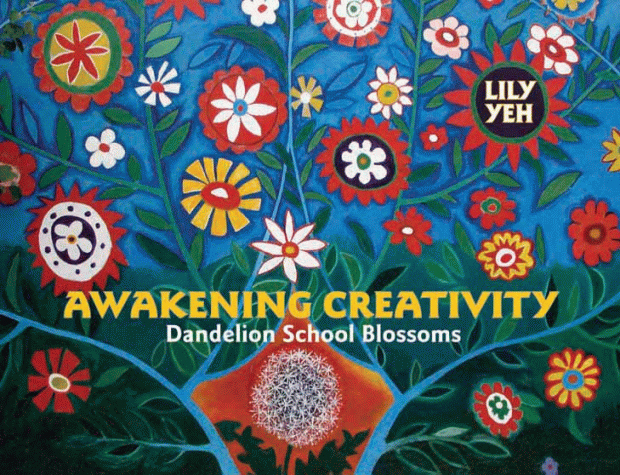 Lily is an internationally celebrated artist who, as founder and executive director of the Village of Arts and Humanities in North Philadelphia from 1968 to 2004, helped create a national model in creative place-making and community building through the arts. 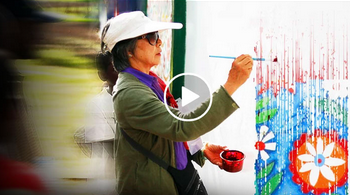 In 2002, Yeh pursued her work internationally, founding Barefoot Artists, Inc., to bring the transformative power of art to impoverished communities in multiple countries (including Kenya, Ivory Coast, Ghana, Rwanda, China, Taiwan, Ecuador, Syria, Republic of Georgia, Haiti, Germany, Palestine, and the United States) through participatory, multifaceted projects. For much of her life, Susan Viguers taught literature, directed the University Writing Program at the University of the Arts in Philadelphia, and published scholarly articles, creative nonfiction and poetry. Her discovery of printmaking and book structure and her eventual move from the Liberal Arts Division to the university’s College of Art and Design was a radical late middle-age change. For nine years she directed the university’s MFA Book Arts/Printmaking program. Her artist books have been in numerous exhibitions and have been collected in over 50 public institution’s Special Collections. For purchase contact: Susan Viguers/Shandy Press sviguers@uarts.edu.